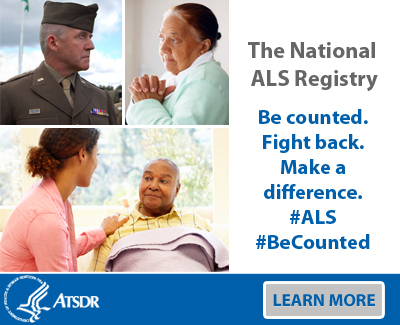 The National ALS Registry is a congressionally mandated registry for persons in the United States with ALS. It is the only population-based registry in the United States that collects information to help scientists learn more about who gets ALS and its causes. No one knows for sure what causes ALS and currently there is no cure. If you have the disease, consider joining the Registry and completing the brief risk-factor surveys because your answers could help scientists defeat ALS.